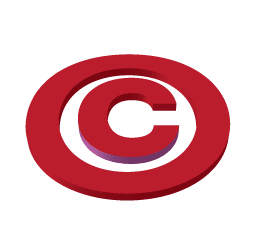 The Copyright Law is in danger of being changed in a bad way. That law hasn’t been written yet. So we need to rise up now and make our voices heard. It’s not even a bill, so now is the time to cry out. The Copyright Office is submitting suggestions to Congress that suggests that the public interest in your work is more important than your right to make money off of your work. Nothing an artist/creator/author creates would be protected at the moment of creation and you would have to register everything you’ve ever done and will do. The registration will no longer be with the copyright office, but the private sector. They will be for profit registrars. You will have to deal with at least 2 registrars. One company to register the art. And the other company to register the meta-data; contract with client, sketches, etc. A form must be filled out for each individual creation. Since this is created in the private sector there may be more hoops to jump through. You will have to do this for every piece of work you’ve created and will create in the past, present and future. That’s every single piece of art, writing, music and photography individually. Exclusive rights to your art is in the Constitution. Do you want to lose that? DATES: Comments are due July 23, 2015. The U.S. Copyright Office is requesting written comments on how certain visual works, particularly photographs, graphic artworks, and illustrations, are monetized, enforced, and registered under the Copyright Act. The Office is specifically interested in the current marketplace for these visual works, as well as observations regarding the real or potential obstacles that these authors and, as applicable, their licensees or other representatives face when navigating the digital landscape. 4. Sign up for an Artist Alert, so you are not caught with your pants down wondering what happened to your rights. Watch this video with artist Brad Holland talking about this matter.